Cut the tips off of the squash and cut each squash into 3 or 4 pieces. Drop the squash and chopped onion into a large saucepan with enough boiling water to cover. Return to boil, reduce heat and cook until tender. Drain well in colander and mash, allowing excess liquid to drain. Combine with beaten eggs, 1 cup breadcrumbs, butter, sugar, salt, onion, and pepper. Turn into a greased 3 quart casserole. 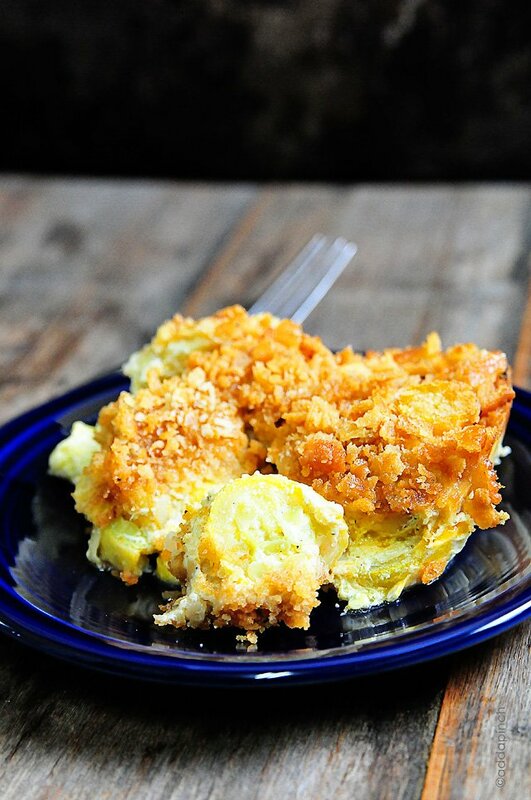 Toss the remaining bread crumbs with melted butter and sprinkle over top of casserole. Bake at 350 degrees for 30 minutes, until lightly browned. Serves 4-6.